Visit our new Training page to learn more about practice consultation and training provided at no cost by Iowa EPSDT Care for Kids. ​​​​​​​​​​​​​​​​​​​​​​​​​​​​​​​​​​​​​​​​​​​​​​​​​​​​​​​Bright Futures is a national health promotion and prevention initiative, led by the American Academy of Pediatrics (AAP). AAP's Bright Futures Guidelines provide theory-based and evidence-driven guidance for all preventive care screenings and well-child visits for infants, children, adolescents and their families. Early Brain and Child Developmen: Building Brains, Forging Futures is a program of the American Academy of Pediatrics, focuses on optimal early brain and child development, or EBCD. EBCD is essential to the health and well-being of children. The website includes links to training and education modules, archived presentations and videos, and a resource library. The Center on the Developing Child at Harvard University offers an online resource website has brief videos, lectures on video and written briefs which cover the areas of pediatric brain development and the science of children’s social, emotional and behavioral development. Special attention is given to the interaction between the environment in which a child develops and the impact on the developing brain. The University of Iowa Center for Disabilities and Development worked with the UI College of Public Health to create PrepKids, a preparedness training for parents and custodians of children with disabilities who live in rural areas. Families can access the PrepKids 2017 presentation to help them develop emergency preparedness plans for their children. The presentation, Personal and Family Emergency Preparedness, is available for free on YouTube. It features the national message, “be ready to take care of yourself for 3 days,” and includes a discussion of the 7 steps to preparedness from the PrepKids Booklet. Children and teenagers can begin to identify at young ages as lesbian, gay, bisexual, queer or questioning (LGBTQ), or otherwise gender nonconforming. Healthcare encounters can be difficult for these children and young adults, knowing how to work with youth who are GLBTQ can promote both their physical and mental health. 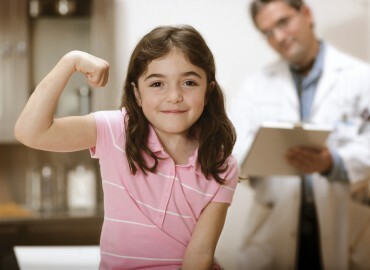 The American Academy of Pediatrics (AAP) published “Ensuring Comprehensive Care and Support for Transgender and Gender-Diverse Children and Adolescents,” in its October 2018 issue of Pediatrics to provide information on epidemiology, mental health implications, developmental considerations, and a gender-affirmative care model for those who care for LGBTQ kids. Link to the AAP article. The University of Iowa Hospitals and Clinics has an LGBTQ Clinic to serve both pediatric and adults who identify as GLBTQ. Clinic staff have had LGBTQ-specific cultural humility training to assure a welcoming and supportive environment for all patients. Link to the UIHC clinic webpage. 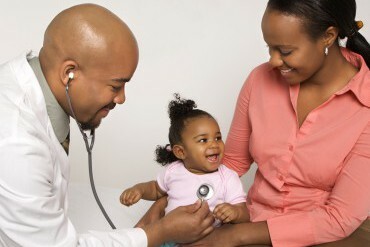 The Academy of Pediatrics recommends that transitioning to adult health care begin at 12 years of age. Find more about the transition from adolescent to adult health care from the AAP's Transition Resources. Visit our Billing & Coding page to find more information.